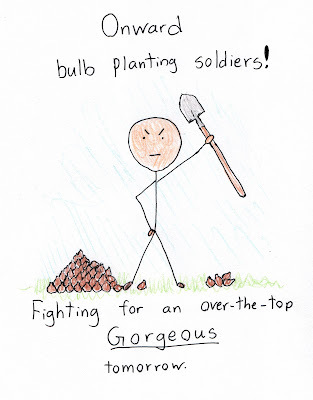 Arrowhead Alpines Blog: Friday Garden Cartoon: Plant those bulbs! It is that time of year again. Get out there and start planting! I'm hoping for clear skies tomorrow, so I can start to plant mine! Thanks for the encouragement and smile. "Fighting for a Gorgeous Tommorow" , You better copyright that or I will steal it! Annie, steal away! I'd be honored! 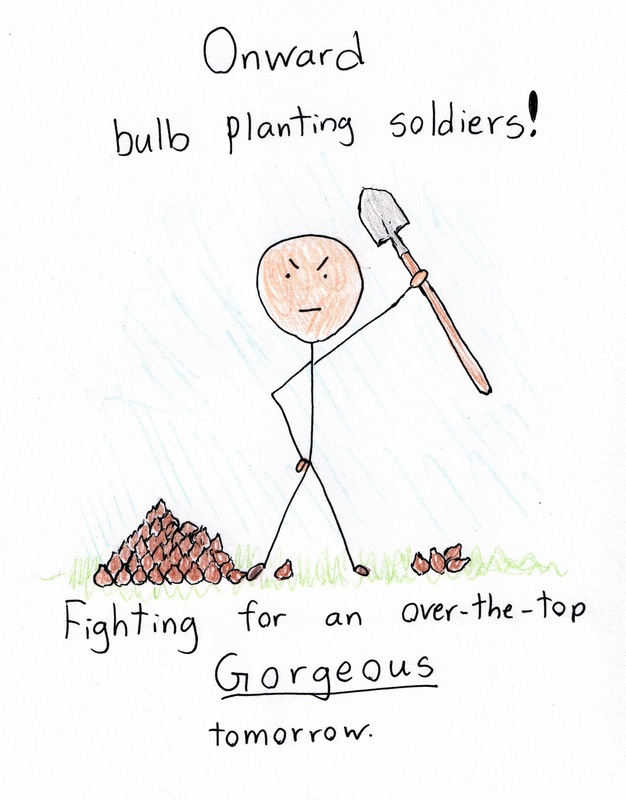 Planting bulbs is at the top of my to-do list for the upcoming weekend. I’ve already decided which will go where. And I know that these will bring me many “over-the-top Gorgeous tomorrows”! Is this cartoon your own handiwork? It’s adorable.